With the holidays upon us, many families are considering giving puppies or dogs to their children as the ultimate gift. However, all too often, people don't realize the commitment involved in adding a new member to your pack, and once the holiday season has ended, the same dogs that were treasured in theory end up homeless because people can't commit to caring for them. Inviting a new pet into your home is serious business -- and there are many questions that you should ask yourself before adopting a canine companion. The last thing you want to do is find you need to return the dog a few days after adopting it. The more that you know from the start, the better chance you have of finding the perfect new best friend for your family. So before you adopt, ask yourself these eight questions about inviting a new pet into your home. And if you do decide you're ready and able to care for a new dog, we'll add as a special note, that with countless dogs waiting for a second chance at life at your local animal shelters, the most humane option is to rescue your new pet. 1. Is It a Good Idea? The first thing that you ask yourself is whether or not adopting a dog is a good idea for your family. Do you have the resources to provide quality food, accessories, and veterinarian care for a pet? Do you have enough time in your schedule to spend quality time with a pet each day? Are your children old enough to help take care of the pet? If not, are you willing to be the sole provider for the pet? 2. What Type of Pet Should I Choose? So you think you can handle a pet — now you must decide what type of dog would be the perfect fit for your family. Consider the amount of space you have for a pet, as well as the amount of exercise you’ll be able to give it. Would you be best off with a puppy you can train from the start, or do you prefer an older more docile pet that’s already housebroken. Other considerations include; shedding, size, stamina, and demeanor. You want to choose a pet that is the right size and has a temperament and stamina that matches your family. And if you can’t stand dog or cat hair on the sofa, then choosing a breed that doesn’t shed is optimal. 3. How Do I Know if My Family is Ready? If this is the first time that your family will be welcoming a pet into your home, I highly consider borrowing one first. Chances are that you have a close friend or family member that would let you “borrow” their dog for the weekend. This will give your family a chance to see if a new pet will really fit into your family dynamic. It is also a great time to see how involved your children will be in the process. Are they eager to take the dog out for a walk? To feed the pet? Groom the pet? You can see if your home has enough space for a pet and it gives you a good idea of what everyday life will be like once you bring your new dog home. 4. What Kind of Dog Does Your Family Connect With? Now that you have decided on the type of demeanor and size dog that you want to welcome into your home, it’s time to visit your local shelter. I suggest meeting with a volunteer at your local shelter to discuss the type of dog you’re looking for and what temperament you think will be the best fit for your family. The volunteers continuously and closely work with the animals, so they will be able to give you a lot of information. 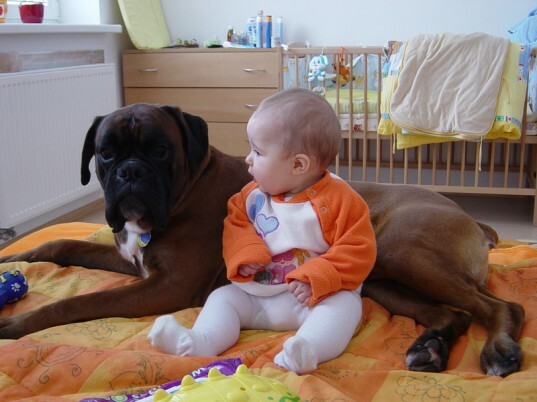 You want to make sure that any potential pet is good with children and other pets (if you already have either one). I also think picking out a couple of pets to interact with is a good idea. You can see how your child responds to each different pet. This is also a good chance to see how a pet will respond when your child wants to pet, or walk it. 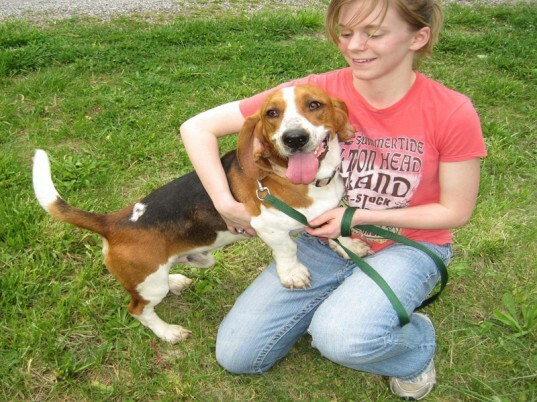 Most animal shelters happily welcome volunteers every day to walk the dogs living there. Visit your local shelter and a few dogs repeatedly to see what kind of connection you can make. 5. I Love a Shelter Pet, Now What? If your family becomes smitten with a particular animal when visiting the animal shelter, I suggest taking the pet for a few extra walks, and to spend as much time as you can with the pet before you commit. The more time that you can spend with the animal before you bring it home, the better. Many shelter animals will find their way back to a shelter simply because the person who initially adopted him didn’t spend enough time getting to know him. You want to know as much as possible about your new pet: Does he shed, is he super hyper, is he too big that he knocks your children over? Slow down and take your time to make sure this pet is right for your family. 6. 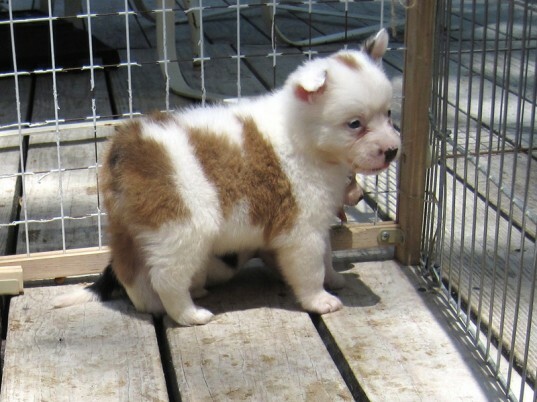 How Do I Prepare a Pet for His New Home? Be prepared for how your new dog will react when you bring him to your home for the first time. He may feel afraid and overwhelmed, so it’s important to give him time to adjust. I highly suggest supervising all of the time that your new pet is interacting with your children and other pets until your new dog is well adjusted. Having a safe place for the pet to go is essential. I suggest a crate that is large enough for them to stand up in and turn around, lined with a comfy blanket in a quiet part of your home. If you feel that your pet is overwhelmed, you can remove him from the situation and give him a little time-out. 7. What Will My Pet Do When I’m at Work? I suggest adopting a pet when you have some time off from work and the children are home from school, even if it’s only for a week. This gives your pet time to adjust to her new living situation before being left home alone for a few hours. I also recommend keeping your pet (especially a dog) in a crate when you’re away from home. This will protect your pet from getting hurt when you’re not there or from chewing up your favorite piece of furniture or clothing. Many people feel that putting a pet in a crate is inhumane, however, I have crate trained all of my dogs and they don’t mind it at all. In fact, they climb in and immediately lay down for a rest. You can also consider leaving your dog with at a doggy day care, hiring a dog walker or leaving him with a friend or family member during the day. 8. What Should I Expect in the Long Run? 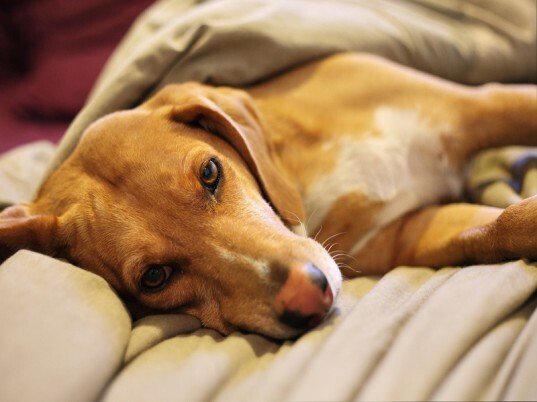 The most important thing to remember is that it will take time for your new dog to settle in. If you adopted a puppy, understand that potty training usually takes time — up to a year. It also takes time for your pet to learn the family rules including not getting on the furniture, not running away when you open the front door, not jumping on people, etc. The best advice that I can give you is that you get out of your pets, what you put into them and that consistency is key. So you think you can handle a pet -- now you must decide what type of dog would be the perfect fit for your family. 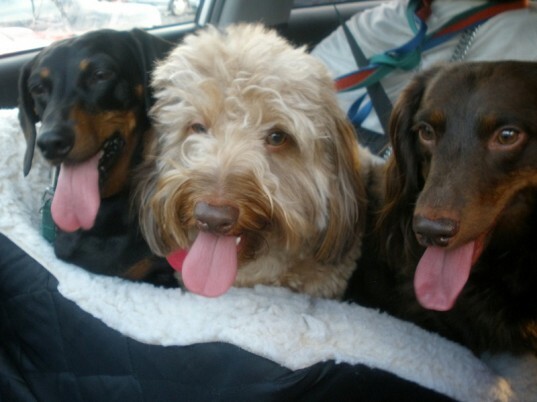 Consider the amount of space you have for a pet, as well as the amount of exercise you'll be able to give it. Would you be best off with a puppy you can train from the start, or do you prefer an older more docile pet that's already housebroken. Other considerations include; shedding, size, stamina, and demeanor. You want to choose a pet that is the right size and has a temperament and stamina that matches your family. And if you can't stand dog or cat hair on the sofa, then choosing a breed that doesn't shed is optimal. If this is the first time that your family will be welcoming a pet into your home, I highly consider borrowing one first. Chances are that you have a close friend or family member that would let you "borrow" their dog for the weekend. This will give your family a chance to see if a new pet will really fit into your family dynamic. It is also a great time to see how involved your children will be in the process. Are they eager to take the dog out for a walk? To feed the pet? Groom the pet? You can see if your home has enough space for a pet and it gives you a good idea of what everyday life will be like once you bring your new dog home. Now that you have decided on the type of demeanor and size dog that you want to welcome into your home, it's time to visit your local shelter. I suggest meeting with a volunteer at your local shelter to discuss the type of dog you're looking for and what temperament you think will be the best fit for your family. The volunteers continuously and closely work with the animals, so they will be able to give you a lot of information. You want to make sure that any potential pet is good with children and other pets (if you already have either one). I also think picking out a couple of pets to interact with is a good idea. You can see how your child responds to each different pet. This is also a good chance to see how a pet will respond when your child wants to pet, or walk it. 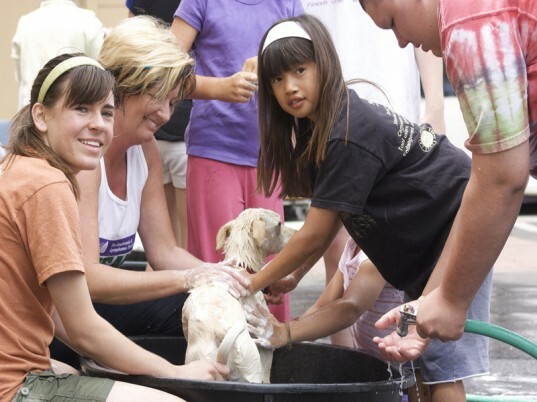 Most animal shelters happily welcome volunteers every day to walk the dogs living there. Visit your local shelter and a few dogs repeatedly to see what kind of connection you can make. If your family becomes smitten with a particular animal when visiting the animal shelter, I suggest taking the pet for a few extra walks, and to spend as much time as you can with the pet before you commit. The more time that you can spend with the animal before you bring it home, the better. Many shelter animals will find their way back to a shelter simply because the person who initially adopted him didn't spend enough time getting to know him. You want to know as much as possible about your new pet: Does he shed, is he super hyper, is he too big that he knocks your children over? Slow down and take your time to make sure this pet is right for your family. Be prepared for how your new dog will react when you bring him to your home for the first time. He may feel afraid and overwhelmed, so it's important to give him time to adjust. I highly suggest supervising all of the time that your new pet is interacting with your children and other pets until your new dog is well adjusted. Having a safe place for the pet to go is essential. I suggest a crate that is large enough for them to stand up in and turn around, lined with a comfy blanket in a quiet part of your home. 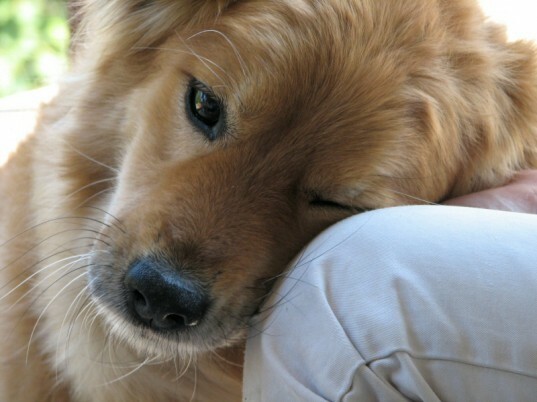 If you feel that your pet is overwhelmed, you can remove him from the situation and give him a little time-out. 7. What Will My Pet Do When I'm at Work? I suggest adopting a pet when you have some time off from work and the children are home from school, even if it's only for a week. This gives your pet time to adjust to her new living situation before being left home alone for a few hours. 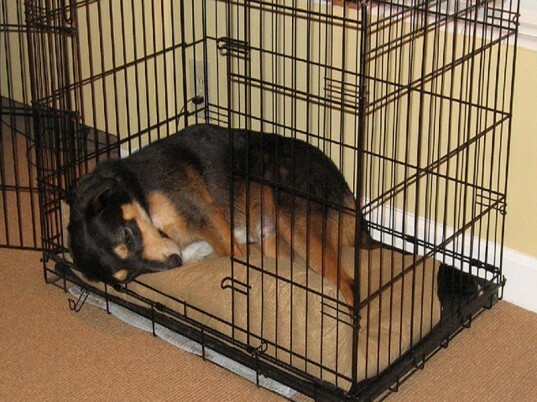 I also recommend keeping your pet (especially a dog) in a crate when you're away from home. This will protect your pet from getting hurt when you're not there or from chewing up your favorite piece of furniture or clothing. Many people feel that putting a pet in a crate is inhumane, however, I have crate trained all of my dogs and they don't mind it at all. In fact, they climb in and immediately lay down for a rest. You can also consider leaving your dog with at a doggy day care, hiring a dog walker or leaving him with a friend or family member during the day. The most important thing to remember is that it will take time for your new dog to settle in. If you adopted a puppy, understand that potty training usually takes time -- up to a year. It also takes time for your pet to learn the family rules including not getting on the furniture, not running away when you open the front door, not jumping on people, etc. The best advice that I can give you is that you get out of your pets, what you put into them and that consistency is key.